Every Wednesday throughout January I'm running a series of free photo shoots that lots of you have already been snapping up! Last week I was at Crickley Hill and this week I'll be at Pittville Park. Give me a wave if you see me - I'm there all day! So coming back to Crickley Hill - the photo shoots started at 9.30am and went right through to 2.30pm. There had been such a huge demand that I hadn't even been able to factor in a ten minute break for lunch. It didn't matter though because we all had such fun. Not even Storm Eleanor could blow away our enthusiasm! Due to the storm, I suggested that the photo shoots be performed in the shelter of the beautiful ancient beech woods. There were only two, slightly older children, who wanted to weather the storm and my goodness it was a job just to stand upright! Thankfully they had taken my pre-photo shoot advice on board and wore woolly hats to keep their hair in place! In contrast, the woods were relatively calm. In fact you wouldn't have even known there was a storm. The children all very much enjoyed climbing trees, foraging for sticks and hiding in the numerous dens. They balanced on fallen tree trunks, we played hide and seek and even a bit of peep-o too. I think the giggles could be heard for miles! I've selected a sample of my favourite shots from each of the seven photo shoots. I hope you like them! Free photo shoot January continues this week at Pittville Park and although that day is now fully booked, there will be more opportunities to get involved. Watch this space! This is the fifth time I have photographed Jasmine and boy does she wear a woolly hat well! This is the third time I've photographed Alexa and I can't believe how much she has grown since the very first time I met her at her cake smash! Jack is another little lad who I've photographed on two previous occasions and he's getting cheekier by the minute! Great to catch up with his Mum again too, who is keen to book another photo shoot with me in the Spring. Among all the familiar faces it was great to see some new faces too and who couldn't resist these two with all their gorgeous curls! Despite only being a few months old, this is actually the second time I've met these Babes in the Wood and the third time I've met Dylan the dog! I did their newborn shoot when they were just a few weeks old. 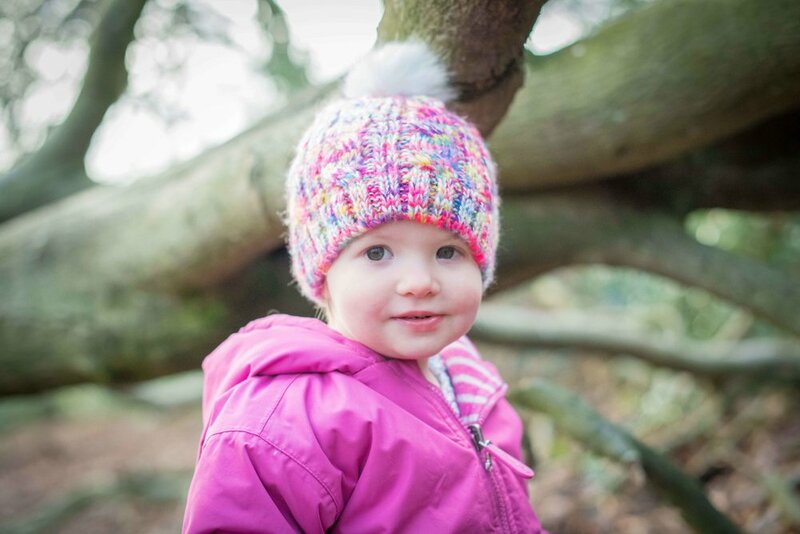 More new faces and more super cute winter woolly hats! From left to right: Elliot, Molly, Oliver, Arabella, Sanara and Sam. This is the third time I've photographed Sanara. 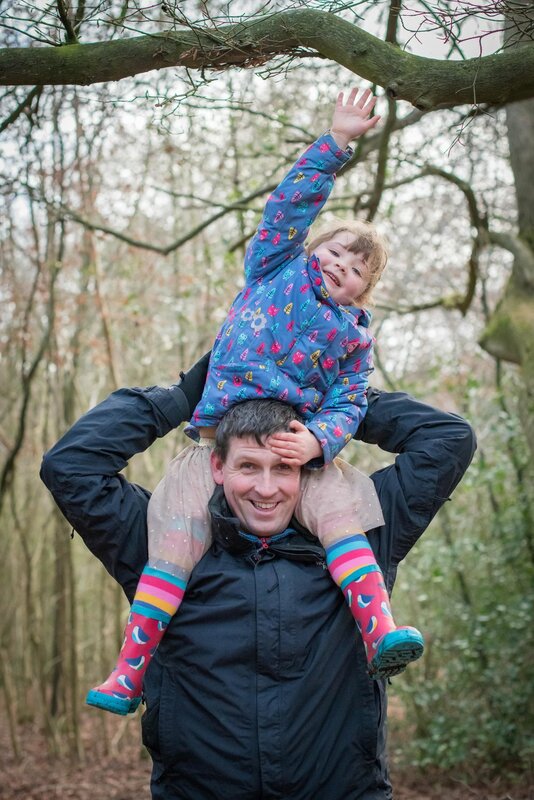 Her Daddy is so tall she could even reach the branch of this tree - just!